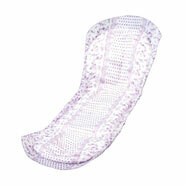 Bladder control pads for women protect with a premium look and feel. Elasticized contours fit a woman’s body. 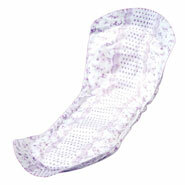 Absorbent core and quick-drying surface keep moisture away from skin. 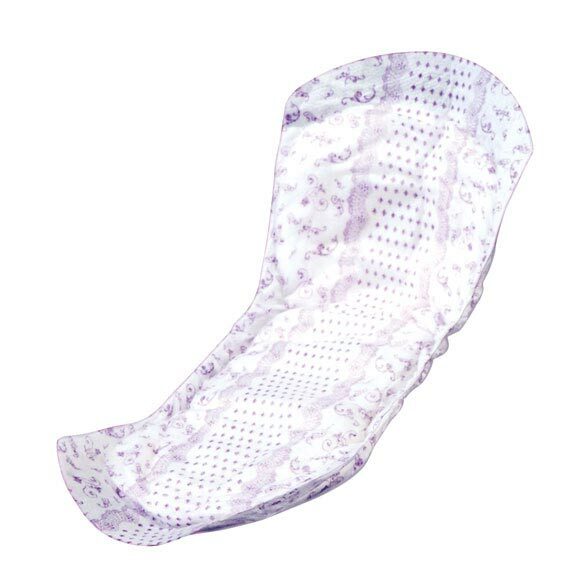 Adhesive strips of bladder control pads keep pad in place. Moderate absorbency. Case of 180. They can be used discreetly and make me confident.. Elderly need that added boost . These are quite comfortable and easy to wear. They are not bulky and cannot be recognized through your clothing. They are great and serve the purpose nicely. BEST ANSWER: Thank you for your question. 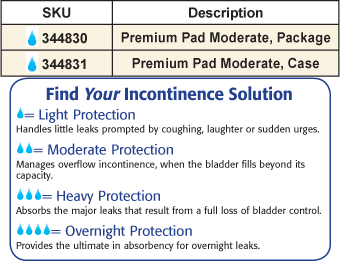 The Bladder Control Pads are 11" long by 3 1/2" wide with a 3 1/8" crotch width. We hope this information will be of help to you. BEST ANSWER: Thank you for your question. It is 12.50" wide. We hope this information will be of help to you.